In the 1960s, smog was killing Americans, lakes were so low on oxygen they sustained little life, and there was a 400 square mile oil spill off the coast of California that killed bird and other wildlife. Nixon had just become president with a mandate to find some way to fix the environmental problems and stop pollution. 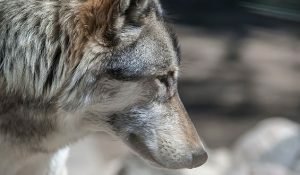 Gray wolves were listed as endangered in 1974. Photo courtesy of Northland College’s Timber Wolf Alliance. Shortly after taking office, Nixon set up the Environmental Quality Council with the mission to solve these problems. The Environmental Policy Act of 1969 was signed into law on January 1, 1970. Later he signed the Clean Air Act, the Clean Water Act and the Endangered Species Act into law. The Environmental Protection Agency which was the administration arm of these Acts became effective December 2, 1970 with William D Ruckelshaus at its head. The ESA has been amended many times during the past 45 years. But it was not until this administration that it could become the instrument of extinction for endangered and threatened wildlife and destruction of fragile habitat. This administration’s goal of deregulation would allow logging, drilling and other human activities at risk to the environment. There have already been a number of changes made to the ESA by the current administration, but there are more than 100 proposals before Congress now which would weaken the ability of the federal government to protect endangered and threatened species and habitat even more. They reduce the USFWS’s ability to secure the protection of plant and animal species in peril, and at the same time make it easier to remove species from the protection of the Act. Limiting what wildlife experts can look at in their reviews of federal activities. Green pitcher plant (Sarracenia oreophila) is listed as endangered under ESA since 1979. Photo by James Henderson, USFWS Forestry Images. 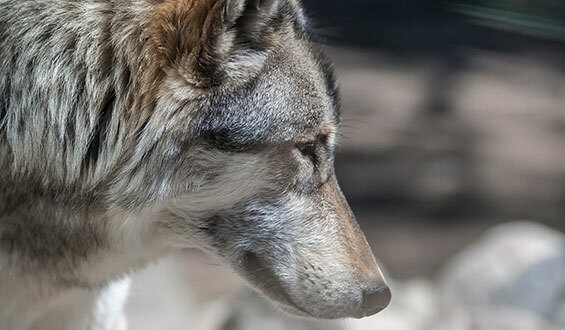 If these proposals are enacted, wolves along with other endangered and threatened wildlife and plants will be left to the mercy of the more economically-minded states. 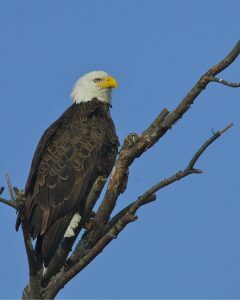 Concern for the American Bald Eagle resulted in its protection in 1967 and was one of the original species protected by the ESA when it was enacted in 1973. After a successful recovery, it was delisted in 2007. 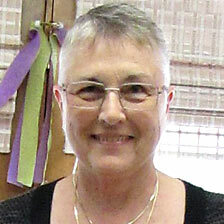 Photo by Jack Bartholmai. This Administration’s goal to deregulate the federal government seems to be without regard for the environment or how this might impact the future of the Earth and its residents. If you feel strongly one way or the other about the ramifications of the changes to the Act, please contact your congressman as soon as possible. Go to House.gov and Senate.gov to find their contact information. Or send comments to the USFWS before September 24, 2018 through the Federal Register system as listed below.